I really REALLY liked this dish. 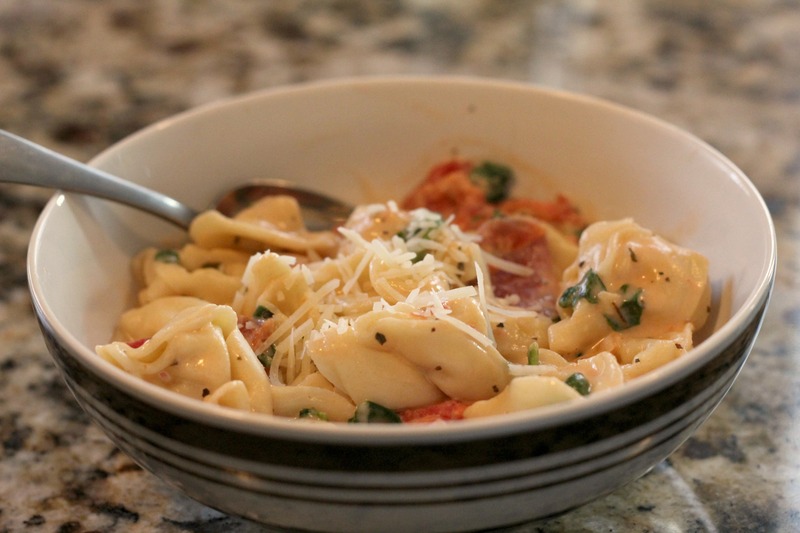 In fact I’ve never met a tortellini that I didn’t like. I mean, it’s pasta filled with cheese, what’s not to like? I’m also a big fan of creamy sauces. I prefer rich, creamy alfredo to a tomato based sauce any day (unfortunately my husband feels just the opposite). This sauce was spectacular and went perfectly with the spinach and tomato. And by the way, if you do make this dish according to the recipe, you should have a bit more sauce in your sauce to pasta ratio than what you see in the picture. See, it calls for 16 oz. of tortellini, and it was only after I dumped mine all in the pot that I realized my package was actually 20 oz. Oops. I’m not complaining about more pasta (I think we’ve established that pasta filled with cheese is always a good thing), but I would’ve like a little more sauce. It’s all about the ratio! I also thought this recipe does a great job of getting just the right amount of spices. Sometimes I feel like the seasonings are overwhelming the rest of the dish, and then sometimes I feel like it’s all bland and lacks seasoning. This recipe gets it spot-on. We LOVED it! In a medium bowl, whisk together the flour, milk and cream. Stir this mixture into the saucepan along with the Parmesan cheese. Heat through, then reduce heat to low, and simmer until thick, about 3 minutes. Looks delicious! 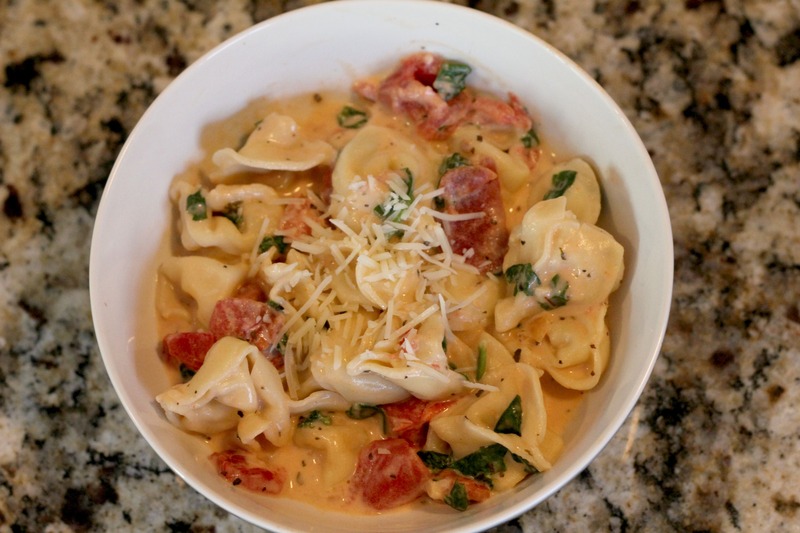 Tortellini is one of my favorites and I love this recipe!